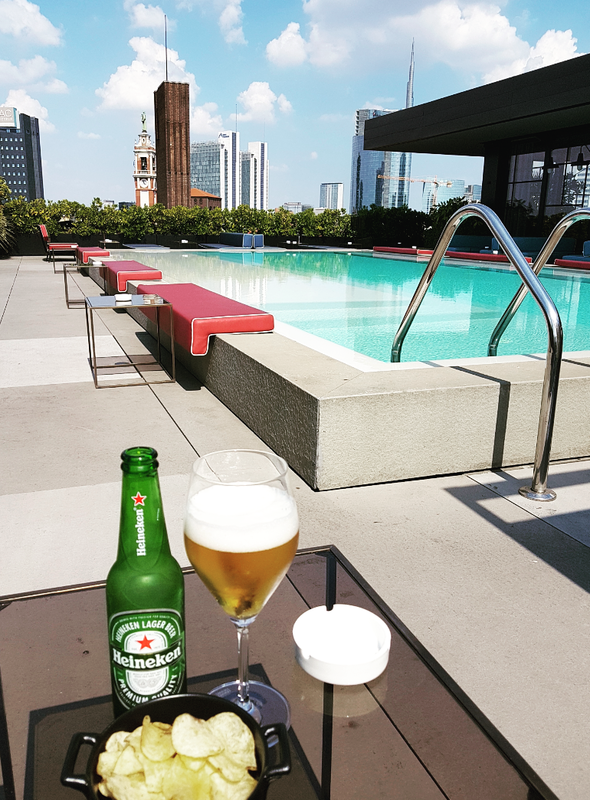 The best way to see any city is from a rooftop bar. Located in central London, this rooftop is the third tallest skyscraper in the city. The spectacular views make this bar extremely popular, so a reservation is a must. 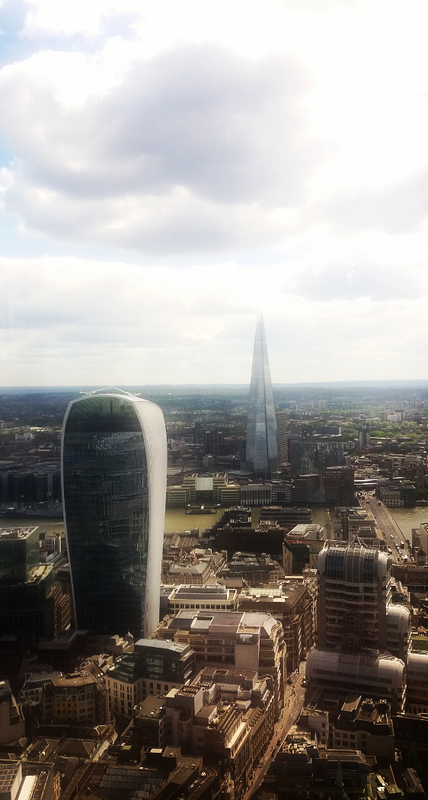 The iconic views include the shard, St Paul’s and across the thames. Afternoon tea here starts at around £64 for two people but check out Groupon and they have a deal at half price, £32. At £16 each it’s good value for money with a glass of champagne included. 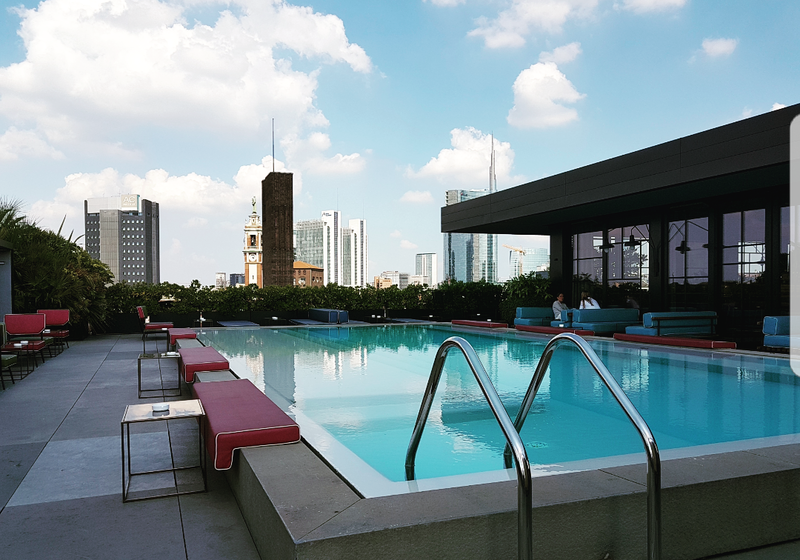 Owned by Italian duo Dsquared2, this rooftop is an interior designers dream. It’s design is finished to perfection. 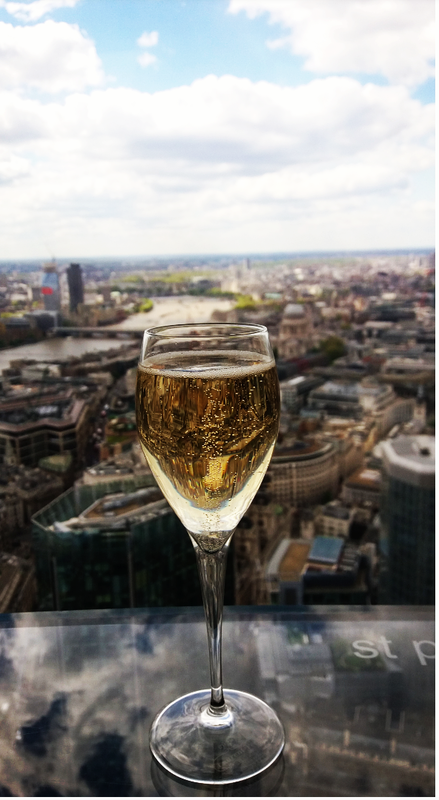 Showcasing 360° panoramic views over the city and a michelin starred restaurant, this is one of my favourite bars. If you would like to eat at the restaurant I would recommend you make a reservation in advance, if you just want evening drinks to watch the sunset you should be ok just to turn up. Drinks here are expensive at around €9 for a bottle of Heinken! The view does makes it worth the price. 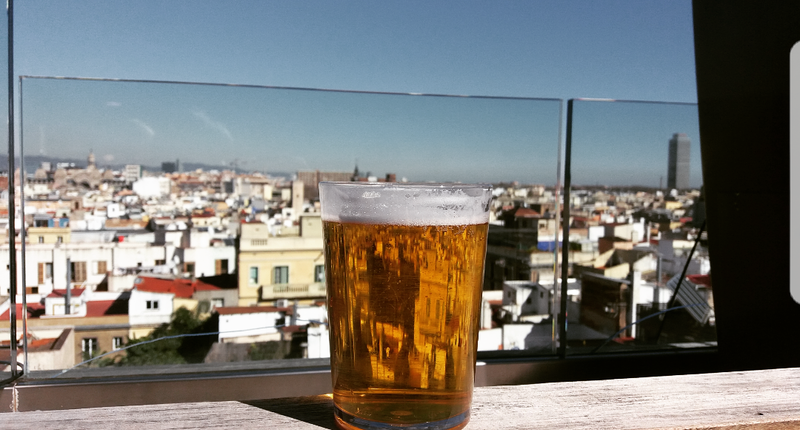 There is an entrance fee of €4 to enter this rooftop bar, but it is worth every penny. Panoramic views featuring the famous Metropólis and the Plaza de Cibeles make it the perfect place to sip a cocktail. The drinks are quite pricey but that has to be expected given the location. If reserved (or wait a very long time) lounge beds are available to lay on and soak in the atmosphere. 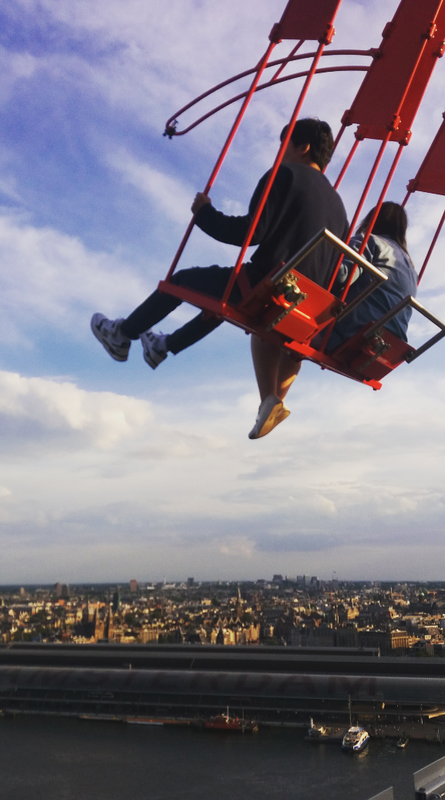 This rooftop is not only just a bar, it also has the highest swing in Europe on the top level. The entrance fee here depends on what type of ticket you want. For a regular ticket the price is €12.50 this includes the light show elevator taking you 20 floors high in 22 seconds, your own digital memory and entrance into the restaurant and top deck. 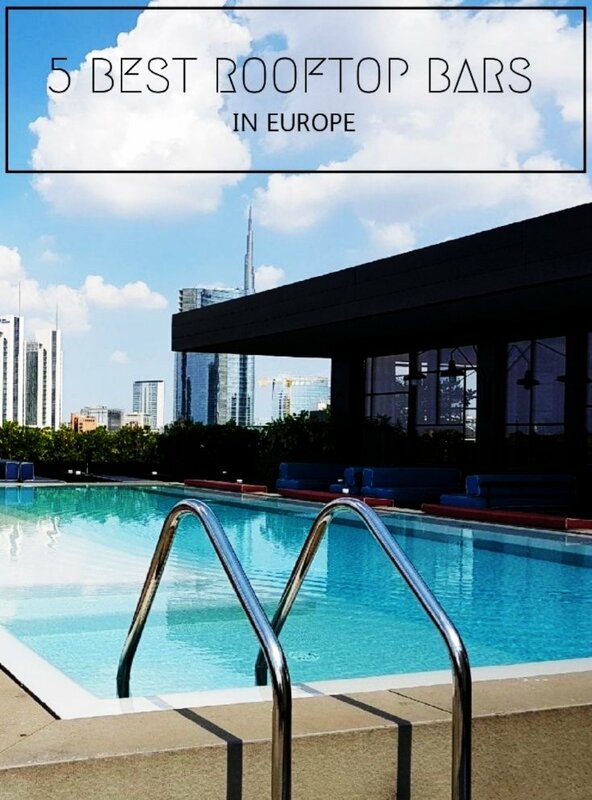 For €20 you can get the sunset package which includes entrance after 18:00pm and a free cocktail. The free cocktail definitely helps settle the nerves before you go onto the swing! If you are in Amsterdam for a while there is an even better deal for just €25 you can have entrance to the A’dam lookout, canal cruise and Heineken experience. To experience the over the edge swing it is an additional cost of €5. 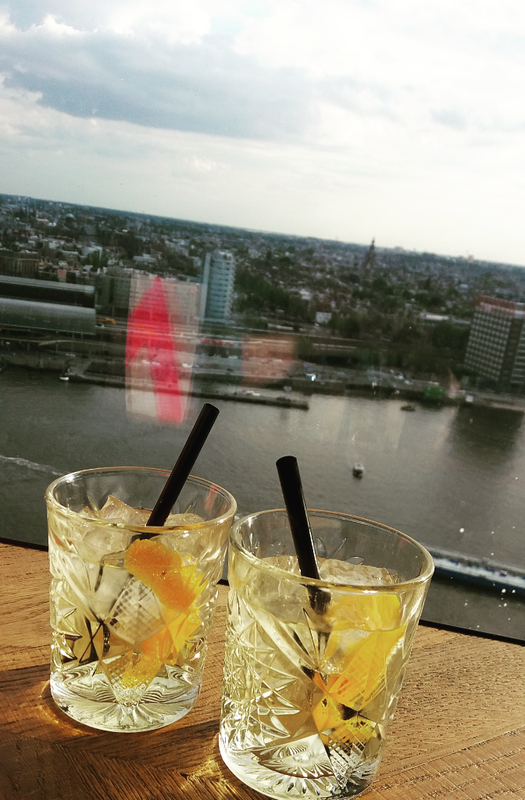 At this rooftop you will get the best views of Amsterdam and a unique experience, it’s a must. Nearest station : take the free ferry across the river from Amsterdam central. Based on the rooftop at the Grand Hotel, this bar features an incredible infinity pool and terrace lounge area. The vintage point from the roof gives you a beautiful Mediterranean sunset. It is pricey here and if you are visiting in peak season (April-September) you will need a reservation.